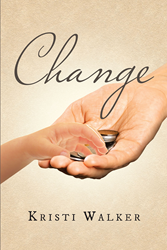 Recent release “Change” from Page Publishing author Kristi Walker is a candid memoir recounting many of the highs and lows of a customer service position in which she met thousands of people, some of whom became significant figures in her life. Kristi Walker, a happily married mother and grandmother residing in Calera, Oklahoma, has completed her book “Change”: a collection of insightful and often humorous observations on human nature gleaned over three decades of service at Sonic Drive In. Published by New York City-based Page Publishing, Kristi Walker’s endearing reflections offer a warm and candid perspective on the myriad personalities that have touched her life. Readers who wish to experience this gripping and potent work can purchase “Change” at bookstores everywhere, or online at the Apple iTunes store, Amazon, Google Play, or Barnes and Noble. Page Publishing is a traditional New York-based full-service publishing house that handles all the intricacies involved in publishing its authors’ books, including distribution in the world’s largest retail outlets and royalty generation. Page Publishing knows that authors need to be free to create - not bogged down with logistics like eBook conversion, establishing wholesale accounts, insurance, shipping, taxes, and the like. Its roster of accomplished authors and publishing professionals allows writers to leave behind these complex and time-consuming issues to focus on their passion: writing and creating. Learn more at http://www.pagepublishing.com.